The early beginnings of the Melbourne Fringe Theatre movement began in 1953 when John Sumner founded the 'Union Theatre Repertory Company' for the University of Melbourne. In 1965 the Union Theatre closed for refurbishment, but when it reopened, at the dawn of a renaissance in Australian drama, it was once again for the exclusive use of the student drama and film societies which also gained a second, more intimate performance space in the new Guild Theatre. In 1968 the Union Theatre Repertory Company was renamed the 'Melbourne Theatre Company' and is today Australia's oldest professional theatre company. 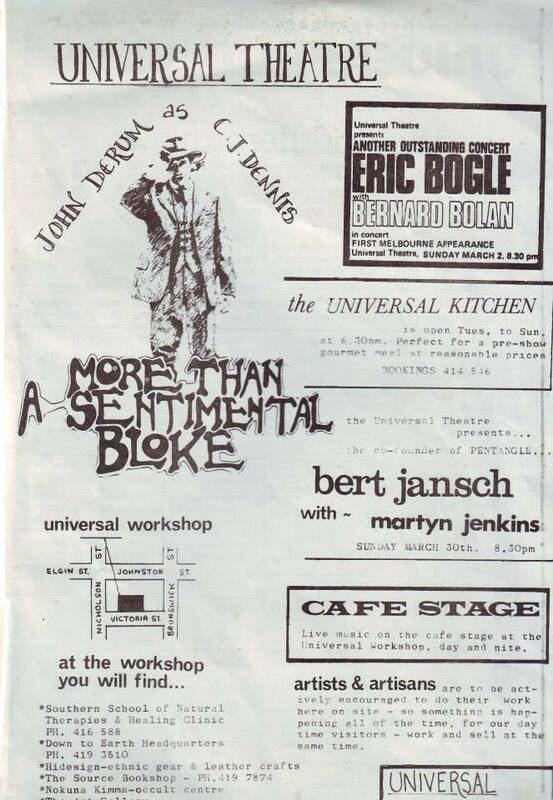 Many other 'fringe' theatre companies were soon breaking free of the conventions of traditional acting techniques and, with the influence of great Directors like Peter Brook and Jerzy Grotowski, and stimulus from alternative and political theatre groups like 'The Living Theatre' and 'Bread & Puppet Theatre', new concepts of what performances and spaces could be were emerging. Actors, writers and directors were soon discovering that they too could experiment with their own version of theatrical freedom and express themselves in a less restricted way. 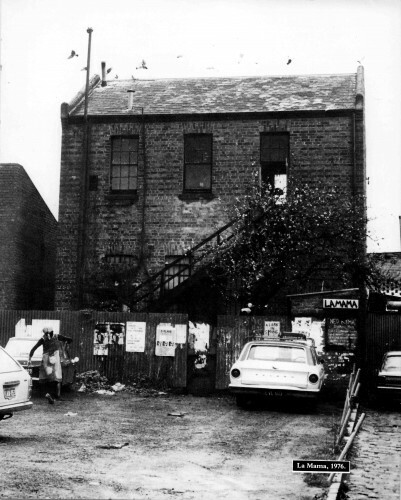 Although from 1962-66 Wal Cherry's innovative 'Emerald Hill Theatre' was operating in South Melbourne, presenting many challenging productions, the real explosion for homegrown, avant-garde theatre was in 1967 when Betty Burstall leased a tiny Carlton shirt factory and gave it new life as 'La Mama Theatre'. Betty and her husband, film maker Tim Burstall, had just returned from a trip to New York and wanted to re-create the vibrancy and immediacy of the small theatres there. La Mama was modeled after the similarly named New York venue 'La Mama Experimental Theatre Club'. It opened with a short play by Jack Hibberd and went on to become the launching pad for generations of local acting, writing, designing and directing talent. At a time when the production of Australian plays was almost non-existent (and financially risky), La Mama's non-profit organisation provided the venue for the performance of new experimental Australian theatre works. La Mama also nurtured new works by composers, poets, and filmmakers and the opening of the alternative theatre provided a home base for many important figures in theatre and film. The theatre's house troupe, 'The La Mama Group', established by Actor-Director Graeme Blundell, eventually evolved into the 'Australian Performing Group' (APG) in 1970 and moved to a larger home - the nearby 'Pram Factory'. 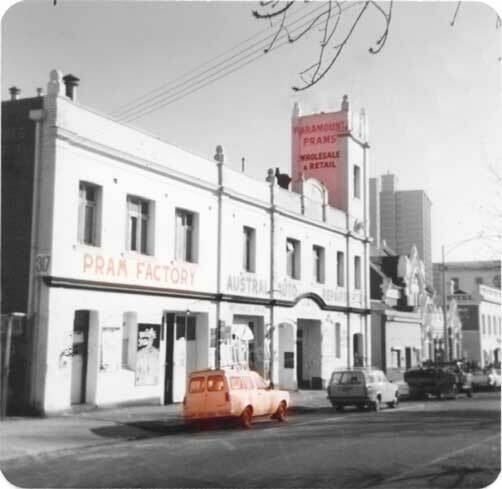 A focal point for intellectual, artistic and political life during the turbulent 1970’s, the Pram Factory was home to a Melbourne theatre collective with the APG making their debut with 'Marvellous Melbourne', a satirical romp by Jack Hibberd and John Romeril. Some La Mama and APG presentations however raised the ire of the guardians of Victoria's morals at the time. Amongst the important figures associated with both La Mama Theatre and the Pram Factory is Lindsay (Lindzee) Smith - actor, director and dedicated avant-gardist of the theatre. Not only was Smith a co-founder of the APG, but between 1973 - 1979 he was the creator and director of 'Nightshift', a group within the Pram Factory which focused on the production of work from International sources, especially radical new plays from Germany, the UK and America. Both La Mama and the Pram Factory were also regularly used by an underground performance troupe called 'Tribe'. Headed by Director Doug Anders, 'Tribe' was an experimental theatre commune of around 11 people who all lived together in a large share house and dedicated themselves solely to creating and performing theatre pieces that not only made a political statement but commented on the social fabric of the day. 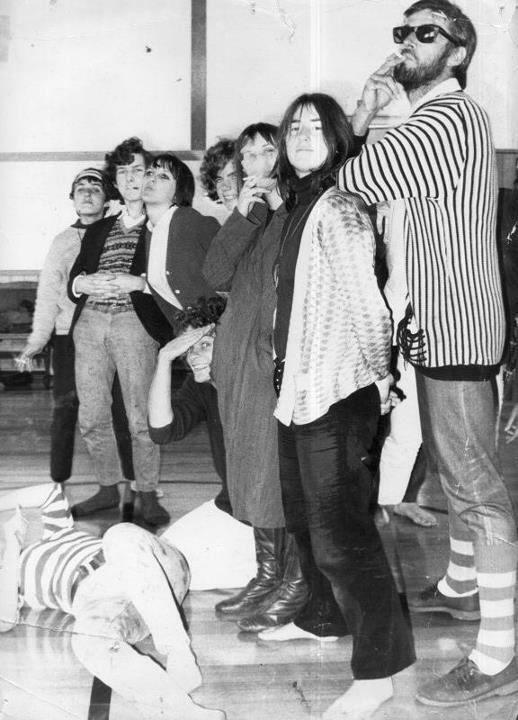 They performed at La Mama Theatre, the Pram Factory and in the streets, and existed from 1969 - 1972. Other groups such as the 'Melbourne Women's Theatre Group' (1974 - 1977), which rejected gender stereotypes both on and off stage, and the now infamous 'Circus Oz' both had their beginnings at the Pram Factory. While La Mama still exists to this day, the Pram Factory closed its doors in 1981 and the building was sold at public auction after a long protracted struggle to keep it going. 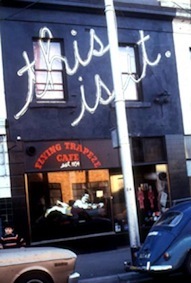 While La Mama and the Pram Factory were showcasing independent theatre, in 1973 John and Gini Pinder, with Humphrey Poland, opened the 'Flying Trapeze Café' in Fitzroy, providing a venue for local intimate stand-up comedy and cabaret. 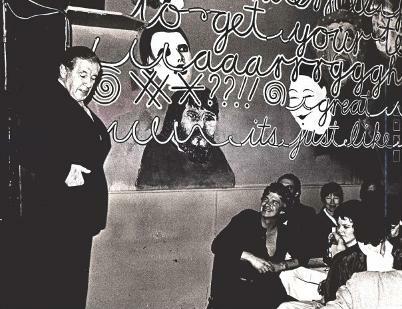 'The Last Laugh' in Collingwood followed in 1975, which in turn led to a host of informal venues providing a broad range of comedy styles, from the political to the absurdist. 'The Fly Trap', as it became colloquially known, was acquired by Ralph Kerle in partnership with Sue Greaves & Wayne Wood in 1977. The Melbourne fringe company, 'Playbox', had its origins in 'Hoopla Productions', founded in 1976 by Graeme Blundell, Carillo Gantner and Garrie Hutchinson. The company used the Playbox Theatre in Exhibition Street from 1977 until the auditorium was destroyed by fire in 1984. 'Playbox Theatre' is now known as the 'Malthouse Theatre' and is the second largest theatre company in Melbourne. Also in 1976 the Drama School at the renowned Victorian College of the Arts (VCA) was established. This not only gave students the opportunity to gain formal training in acting, writing and directing, but it also opened the way for an established career in the professional theatre industry. 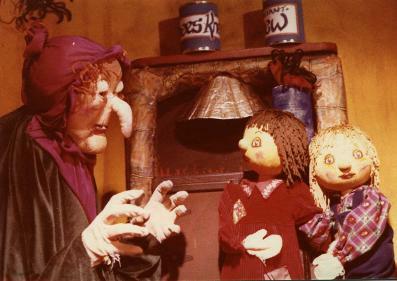 Soon after in 1977 'Handspan Theatre Company' was established to explore and develop new directions in puppetry, while in the same year The Victorian Government purchased the site of the former 'Melbourne Little Theatre' in St Martins Lane, South Yarra to create a place for young people to get involved in the arts. 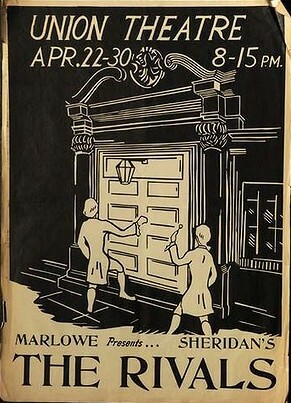 'St Martins Youth Arts Centre' presented its first production in 1979, 'The South Yarra Show' which was researched, written and presented by a group of 80 young people from across Melbourne. Another iconic venue, 'The Universal Workshop Theatre', was transformed from an unwanted factory/warehouse into The Universal Workshop by Tim Woods and Greg Hocking in 1978. A two-theatre venue with an associated cafe and stage for poets and other artists, the Universal was a wholly commercial organisation that hosted a wide range of shows, from fringe to overseas touring companies, with a special emphasis on comedy. Slightly seedy and run-down in appearance, the Universal was one of the very few independent, non-subsidised theatres that survived on a commercial basis. It played an important, if largely unregarded place in Melbourne's cultural life, providing a venue for a broad mixture of popular theatre, poetry and comedy. The building also housed 3RRRFM radio for 20 years. Also in 1978 'The Lygon Street Festa' in Carlton was first held, while in 1980 the first 'St Kilda Festival' took place. Several years later in 1982 the 'Fringe Arts Network' was created, today known as the 'Melbourne Fringe Festival', followed by the Brunswick Street Parade in 1984. Then in 1986 'The Melbourne International Festival of the Arts' was established under the name 'Spoleto Festival'. 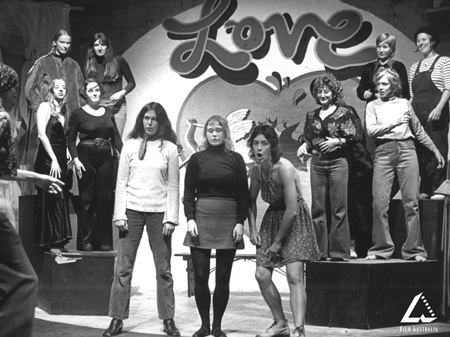 A number of experimental women's theatre groups also emerged in the 1980s, such as 'Melbourne's Home Cooking Theatre Company' (1981). Peter Lillie (The Pelaco Brothers, Relaxed Mechanics, The Autodrifters and cult figure of the Melbourne Music scene) was probably the first member of the Melbourne Punk/Post-Punk scene to immerse himself into the theatre world. Not only did he write a musical called 'Mechanics in a Relaxed Manner', which was a smash hit at the Pram Factory in the early 1970s, but he was renowned for performing both a combination of music and spoken word at both the Pram Factory and La Mama Theatre. Then in 1975 a concert series was set up at La Mama Theatre by composer Ron Nagorcka to test the principles (including free entry, open access and Anarchy) that would govern the about to be formed 'Clifton Hill Community Music Centre' (CHCMC). 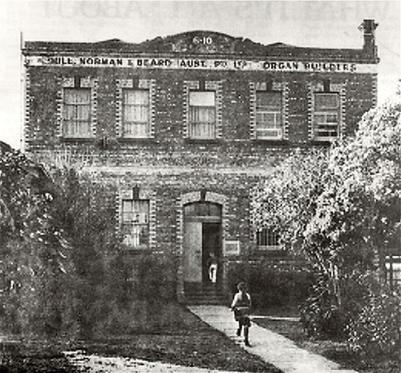 At the beginning of 1976, space became available at the Organ Factory, a community centre in Clifton Hill housing the 'New Theatre' group, after-school play groups and other civic action organisations. Also based at CHCMC was → ↑ → or Tsk Tsk Tsk. Sometimes compared to Andy Warhol's Factory collective, the group also experimented with films, videos, and live theatrical performances. At the peak of the Post-Punk movement in 1979/80, several members of 'Little Band' The Pastel Bats occasionally used La Mama Theatre as a rehearsal space. Living in Carlton already, several members of the band also did an impromptu performance at one of the first Lygon St Festas. Plus there was a 'Little Bands' night at The Pram Factory as well as the odd theatrical performance at the Crystal Ballroom from drama students at the VCA. In 1981 avant-garde poet and dramaturg Christopher Barnett moved to Melbourne from Adelaide. Politically active at 13, organising poetry nights with Paul Kelly at 16, and performing in Adelaide hotels and alternative art spaces during the 70s, Barnett quickly gained a reputation as the ‘enfant terrible’ of the Adelaide art scene. Upon moving to Melbourne he continued to create in the thriving Fitzroy and Carlton Punk scene, living on Brunswick St with The Saints' drummer Ivor Hay. 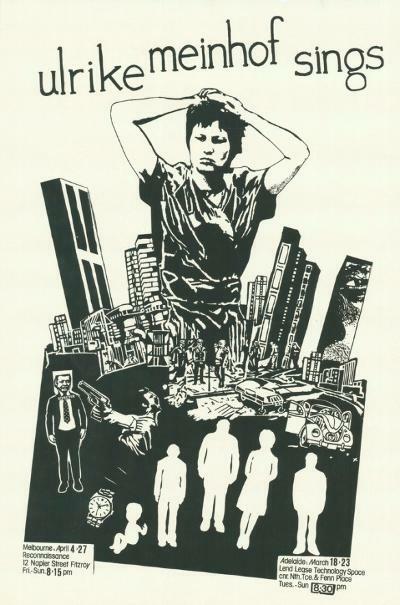 Although his experimental, politically-charged works appealed to a small avant-garde entourage, his plays such as ‘Basket Weaving for Amateurs’ (1981), which attacked Australia’s literary establishment, ‘The Last Days of the World’ (1983), a revolutionary lament and ‘Ulrike Meinhof Sings’, a one-woman performance about the infamous Baader-Meinhof group, were major contributions to the Australian stage that addressed politics, history and memory in a material world. Published versions of these works are now difficult to find as they were mostly small press publications; Melbourne’s Rigamarole Press published a collection of Barnett’s plays in 1984. 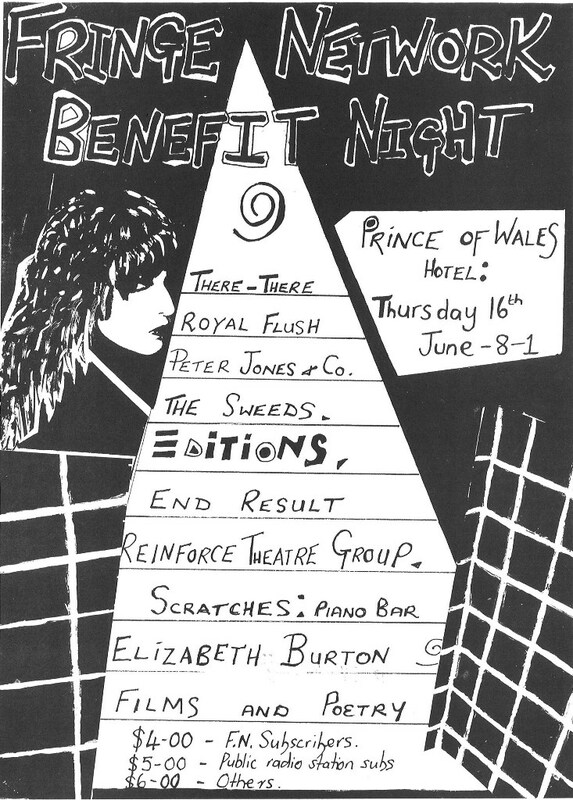 In 1983 the 'Fringe Arts Network' held a benefit gig at the Prince of Wales hotel with Punk bands such as The Editions, Royal Flush and End Result playing. 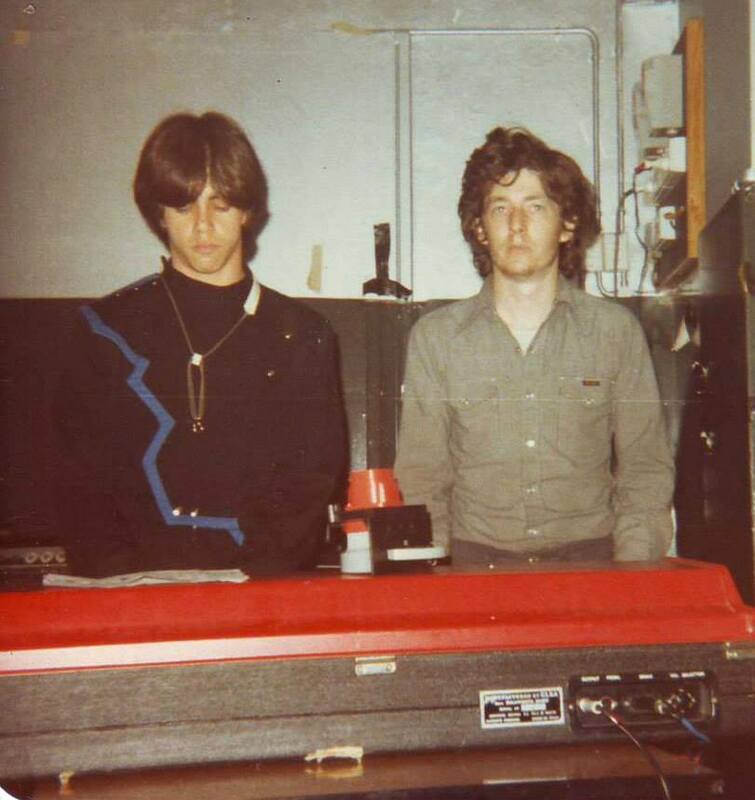 Also in 1983 Sam Sejavka (Ears, Beargarden) who was played by Michael Hutchence in the cult Post-Punk film 'Dogs in Space' had his very first play 'Planetarium' performed at St Martins Theatre in South Yarra. Sam went on to write and perform in many more plays which were produced by La Mama Theatre amongst other venues. So it is apparent that the highly theatrical Punk/Post-Punk subculture and the theatre worlds did collide, albeit to some small degree, with the common ground being that both movements were based on a DIY ethos steeped in political consciousness, and both were determined to break free of the rigid constraints placed on them by previous generations. This they both did with much success. "I was always a Chameleon in terms of whatever cultural style was happening. When we came back that first time from the USA we were hippies, or freaks or something. We were walking around with long hair, coloured jeans and leather jackets...whereas when all the Punk stuff happened, there was nothing original in that, but there was certainly originality in what that did to the theatre, right? The external style reflected what was happening in the theatre...it gave people a chance to do their thing."